I am asking is that you forward this letter on to the Health Service Ombudsman with a formal request, as an MP, to investigate this matter. “The Medicines Directive was enacted in the EU in 1965, and transcribed into English law in 1968. The 1968 Medicines Act has been in full force for the last 41 years, and makes it a criminal offence to place on the market any product that either has specific pharmacological effects or that is 'presented' as having such effects unless it has a licence. Subsequent European Court of Justice rulings have made it utterly unambiguous that 'presented' includes describing the product in such a way that 'the averagely intelligent person gains the impression that the product has medicinal properties’. Therefore, claiming that fluoride - in any form - prevents tooth decay, renders all such products marketed with the intent of giving the public that impression as being medicinal products are subject to licensing. All brands of fluoridated toothpaste are required to have (and do have) medicinal licences. The 2005 European Court of Justice ruling on functional drinks dealt with all drinks, including 'near-water drinks with added minerals', that appear to be both nutritious (foods) and medicinal. As explained above, 'medicinal' includes medicinal by function and/or by presentation. The ECJ has already ruled that a product may be medicinal by presentation even if it is generally regarded as a food, and even if it has no known medicinal properties. So it is entirely irrelevant whether fluoridation is actually effective or not - the very act of claiming that it is medicinally effective makes it sufficient to require the MHRA to carry out the relevant licensing procedure, and if the product does not meet the required standards of safety and efficacy, ban its supply to the public. The MHRA attempts to divert scrutiny of the 2005 ECJ ruling by claiming that it only applies to products that are completely medicinal by function. 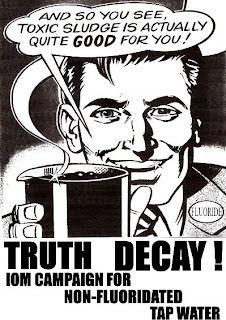 It thereby implies that the functional drink ruling applies only to drinks that have a specific physiological, or 'functional' effect (which of course is the reason for adding fluoride in the first place. This appears to be an ‘own goal’. This is quite wrong: the MHRA is trying to confuse the unfortunate use of the description 'functional'. A drink may be 'functional' not merely because it has a specific physiological 'function', but also because it is medicinal by presentation. So the 2005 ECJ ruling must apply to fluoridated water, since it covers all drinks that appear to fall under two sets of law, one of which is medicinal. The MHRA persists in claiming that this product is not a medicine. Even if this were true, it is still way out of its depth and legally incompetent. There are only two classes of consumable products – foods and medicines – with poisons being legally classified as non-consumable products. Whilst it is possible to drink a product such as bleach, it is emphatically neither a drink nor 'consumable'. So the MHRA's position is that if fluoridated water is not a medicine then it must come under the food regulations, and should be controlled under the Drinking Water Quality Regulations. No. It is a criminal offence to make any medicinal claim for a food (including additives and minerals) and if any medicinal claim is made for a food (and this also includes food supplements), then the seller must be prosecuted under the Food Safety Regulations. A businessman who sold products claiming to cure diseases such as arthritis and cancer has been fined £2,000.. Spiritual healer Ian Perkins, 56, from Hammersmith, west London, admitted 14 charges under the Food Safety Act and one charge of breaching the 1939 Cancer Act. He was charged under food labelling regulations for not complying with the proper checks on any food claiming to have medicinal properties. Swindon Magistrate's Court heard how the town's trading standards officers had come across Mr Perkins's web site for his company, 'Nature's Gold', last May. The firm, run by Mr Perkins and his wife, sold a variety of food supplements which it was claimed could treat, prevent or cure a range of diseases and conditions, including cancer. There was no evidence presented in Court relating to the veracity of these claims. Prosecuting, Phillip Worth told the court: "The prosecution views these offences very seriously because people who are suffering from such illnesses are a particularly vulnerable group. "And you have a high obligation indeed to them." Mr Perkins was also ordered to pay £1,552 costs. So, if the MHRA refuses to prosecute the DH over its illegal promotion of the 'food' fluoridated water as having medicinal properties, why is the DH (or, indeed, the Water Companies) not then prosecuted under UK foods legislation? As far as the position of fluoridated water as a functional drink under the ECJ ruling and the European Medicines’ Directive is concerned, the ruling refers to the class of products that appear to fall under both nutrition and medicines legislation. As far as I am aware, no specific ruling exists at that level on this precise product, but it is my interpretation that this ruling must include fluoridated water. It is a near-water drink because it contains an added mineral – fluoride – which is intended to medicate. The issue is, of course, mostly about what should food and drinks manufacturers using fluoridated water do about the contamination of their raw material with the mineral fluoride. The fluoride 'mineral' is in fact derived from a prohibited source (fluorosilicates are not permissible sources, under the food additives and minerals legislation). Therefore the addition of fluorosilicates to any food, including water, under the pretext that it is a 'mineral', is itself illegal. 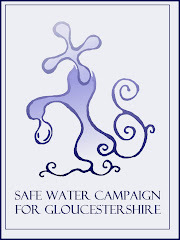 This is not about whether one supports water fluoridation or not: it is about whether the government agencies are obeying the law and it is about public safety. This is serious enough to close down the MHRA which is a public disgrace for failing to abide by the law and putting the public at serious risk of health damage and sometimes death, for which there is already abundant information from health research studies.